We are thrilled to announce that you can now purchase any one of these (or all four of them, if you like), for $10 each, plus Media Mail USPS shipping in the US. We'd love to send Rupert to YOUR house! Your family can borrow one of our hardcover titles at a time for a minimum of three weeks. The only thing you pay is shipping to the next family on the list (in the U.S. only), and you can choose the least-expensive method to do so, which is usually media mail. 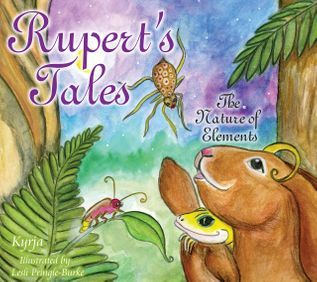 Rupert's Tales continue with four new adventure stories in The Nature of Elements. 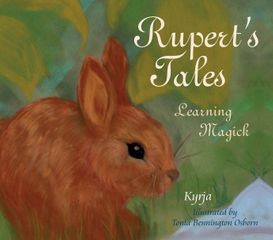 Rupert the rabbit learns how courage, acceptance, compassion, and helping others are connected to the classical elements of Air, Fire, Water, and Earth. In "The Courage to Fly," Grandmother Spinner teaches Rupert that knowledge is only the beginning of wisdom when she asks for his help with a bird who has fallen from the sky. Rupert discovers in "Some Like It Hot" that the Element of Fire is the realm of action and turning words into deeds. When Dylan the dolphin is stuck far from the sea in "The Mystery of Lessons," Rupert receives a lesson in compassion when Grandmother Spinner asks for his help once more, and, finally, Rupert is rewarded for his assistance in "The Sounds of Earth" when he helps Erik the earthworm finally get some sleep. Includes 39 vibrant illustrations. For ages 5–8. Rupert learns more in this second book about making magick, including the meaning of symbols, some that are familiar and some that are new to him. Rupert meets Grandmother Spinner, a very wise spider who helps him to understand why three children are gathering items in the forest to build an altar; and Goddess makes an appearance to teach Rupert and some of his friends how the moon reminds people of the Maiden, Mother, and Crone. With 16 enchanting illustrations, these two rhyming stories offer children a glimpse of the vibrant journey ahead of them as they learn more about how to make magick. For readers aged 5 to 8. Follow the adventures of Rupert the rabbit as he learns that intentions and imagination are two of the most important ingredients in all things magickal. In “Tools of the Craft,” Rupert meets a family who has come to teach their children about tools they use in crafting magick. “Rupert’s Magickal Imagination” has him watching children practicing using their intentions when one of them wonders what happens if you don’t believe in magick. With two rhyming stories and 23 vibrant illustrations, this book offers an enchanting way to help your child begin a journey to learn about magick. For readers aged 5 to 8. An enchanting collection of four rhyming bedtime stories, children will be encouraged to discover new ways of exploring and directing dreamtime that comes naturally from their minds and hearts. Meet the very tired and hungry Brody the bat who helps Rupert learn about going to sleep, and a colorful dragon that knows all about dreaming. Merissa the Mermaid and Flora the Frog are the perfect duo to talk about sending bad dreams away and the Guardian of Dreams is there to protect dreamers as they sleep. Inspiration for reluctant and eager sleepers alike can be found in this assortment of charming, creative tales. Stories come to life with 40 delightfully vibrant pastel illustrations that complement creative concepts, influencing the direction and content of children?s dreams?something sure to please the adventurous spirit of every child! 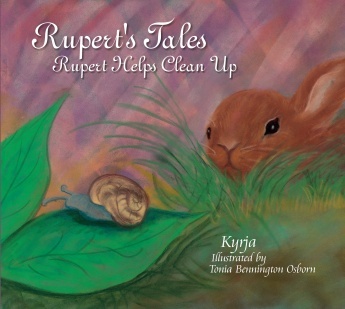 Rupert the rabbit is curious, furry, brown, and helpful, and it seems his lessons never end! With the help of human, animal, and fairy friends, he learns about reducing, reusing, and recycling, and how each of us has an important part to play in taking care of the world around us. A cloud of dragonflies, a singing frog, a lonely snail, a smart cat, and even a clever crow all have things to teach Rupert throughout his adventures in these four stories. 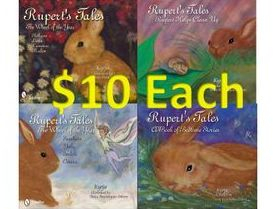 Rupert's Tales are enhanced by 40 vivid pastel illustrations that create scenes sure to spark a sense of wonder at the beauty of nature. Lyrically enchanting, Rupert's adventures lovingly introduce children to the important task of fostering our natural environment. Coloring pages, puzzles, and games follow lovable Rupert the rabbit and all his friends as they learn about the 8 seasonal holidays of the Year. 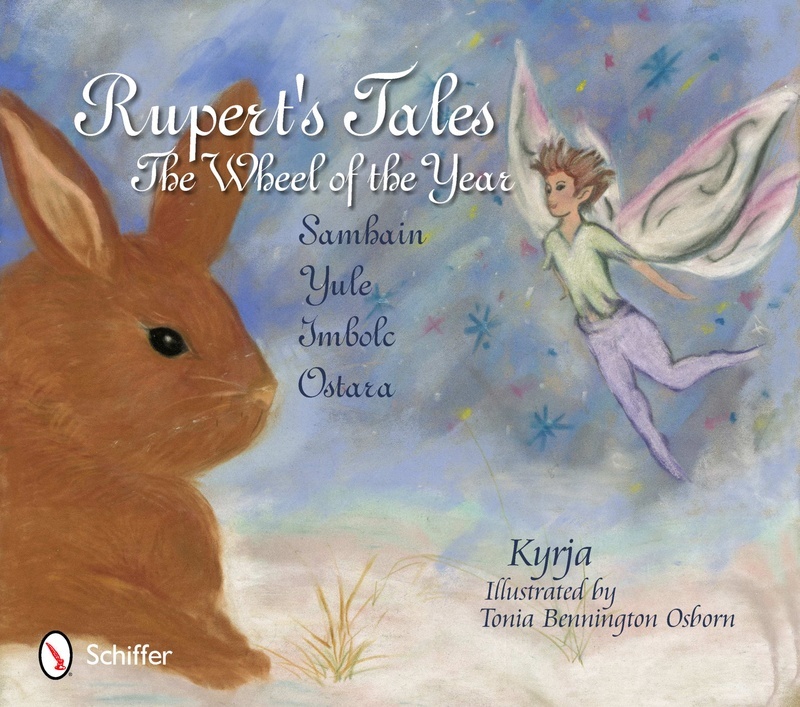 Enjoy hours of imaginative fun with animals, fairies, and children who join Rupert in his lessons through 38 images from the Rupert's Tales: The Wheel of the Year book series. Solve puzzles and play games too! 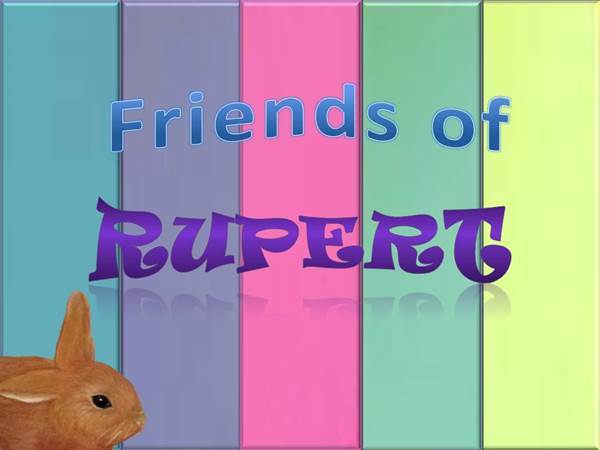 Become a Friend of Rupert! He's waiting for you! 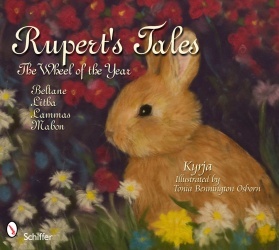 Come along with Rupert the rabbit as he again travels through the Wheel of the Year in his second book of adventures learning about tolerance, respect, and acceptance, and discovering how people celebrate seasonal holidays in the forest where he lives. The tales (one for each season: Samhain, Yule, Imbolc, and Ostara) sets the stage for our furry friend to understand the importance of the seasons and that remembering love and laughter is always wise. He learns about decorations, songs, symbols, and how important the sun and its warmth really are. Join Rupert as he meets a new fairy friend and lots of girls and boys. Find out how someone very special steals Rupert?s heart! Perfect for teaching sacred Pagan practices and beliefs to young children being raised within varied traditions. 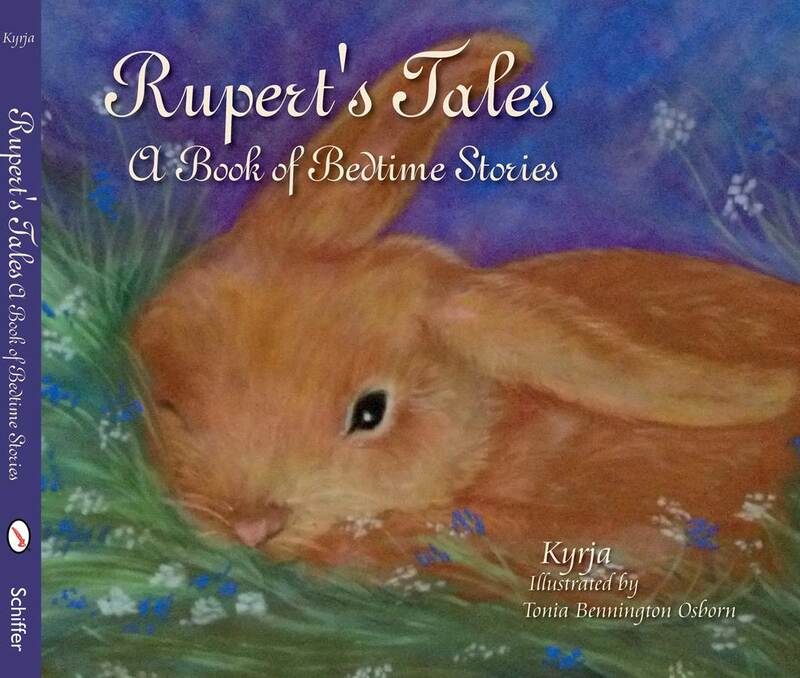 Rupert's Tales are stories for all children, everywhere! 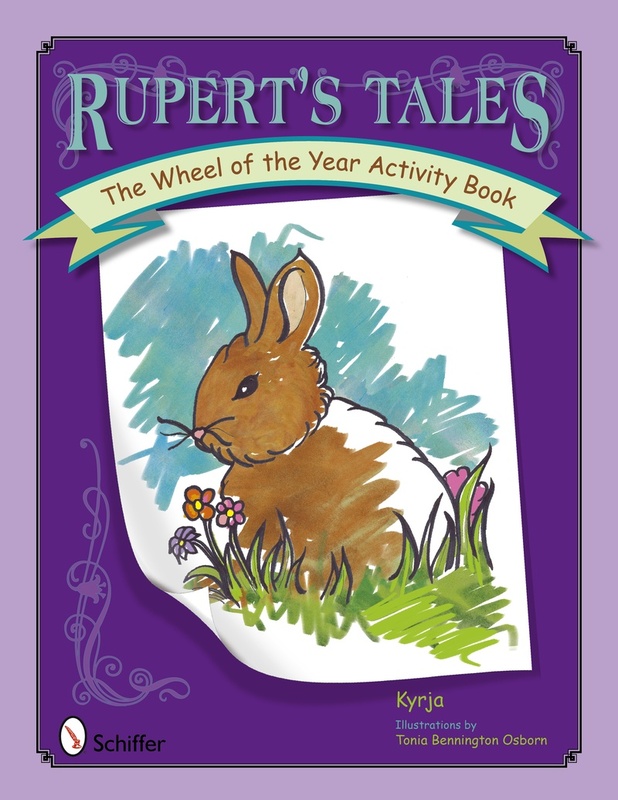 Rupert the rabbit learns about the Wheel of the Year when people leave their homes to celebrate seasonal holidays in the forest where he lives. In our first story, Rupert learns about Beltane from a mysterious white owl who has a secret to share, while in the second tale, a color-changing fairy reminds him that the Summer Solstice marks the time when the sun's power begins to fade, soon bringing cooler weather his way. Our furry friend gets close to a very special crone at Lammas, earning him an unexpected treat while he learns about the first harvest of the season. And poor Rupert misses Mabon altogether when he runs into his friend Melvin the mouse - or does he? 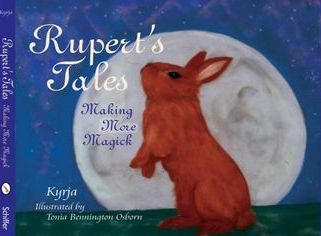 Rupert's Tales is a groundbreaking effort to collect, commemora te and illuminate traditional, sacred Pagan practices and beliefs in a fresh, contemporary, and whimsical style, and is an excellent starting point for young children being raised within the loose structure of the various traditions. You don't have to be Pagan to be enchanted by Rupert and the magick found in his tales. Come join Rupert on his adventures as he meets new friends and old, discovering how and why the people who visit the forest celebrate the way they do. Kyrja is a Friend of Rupert, how about you? Tonia is a Friend of Rupert too! Friends of Rupert YouTube channel! Click here to hop over and nose around a bit! Be ready though - because you'll want to sing along! 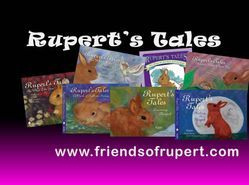 Introduction to Rupert and his Tales. 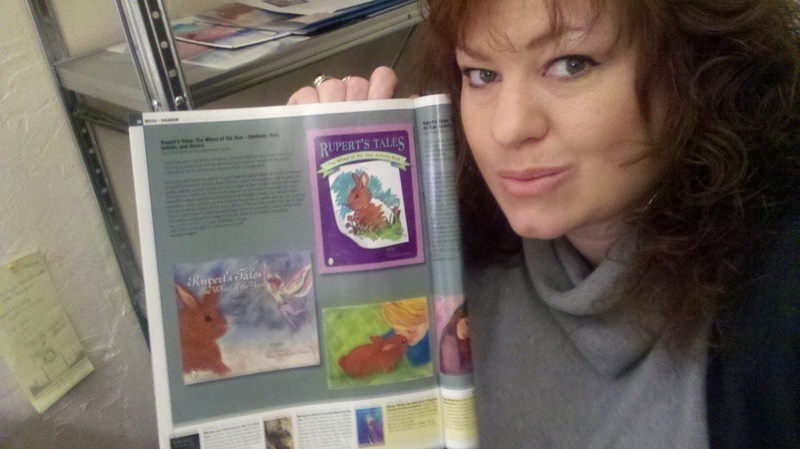 Find out what Rupert's Tales has in store for you!